‪So Srila Prabhupada prayed on the Jaladuta for the power of Nityananda in order to reveal KC to the whole world which was the prophecy of our Sri Gauranga Mahaprabhu. The below verses regarding shaktyavesh avatar and the story of NAKULA Bramacari who is the perfect example of exactly what is the case of our Srila Prabhupada. 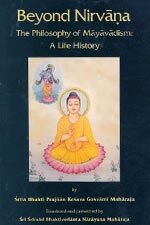 ‪Now let's look at why and how Srila Prabhupada accepted the Avesh of Nityananda. ‪Lord delivered the fallen souls in three different ways: some places by appearing to them directly in His self-same body, in other places by entering into a worthy Devotee, and in still other places by divine epiphany. His principal method of giving salvation was to appear to the conditioned souls in His Self-same body, but He also took possession of Nakula Brahmachari’s body and made an apparition before Nrisinghananda Brahmachari. It is the Supreme Lord’s nature to declare, “I shall deliver the people of the world.” (Chaitanya Charitamrita 3.2.4-6). 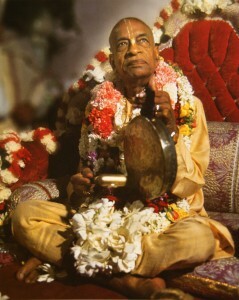 ‪Now we know the lord to deliver fallen souls can and does enter the body of a worthy devotee, certainly our Srila Prabhupada is a worthy devotee with an order to deliver the fallen souls of the world. ‪Now looking at the sastraic evidence in the case of NAKULA bramacari . Lord Caitanya enter his body to deliver Bengal would it not be plausible for Nityanada to enter Srila Prabhupada's body to deliver the entire world. 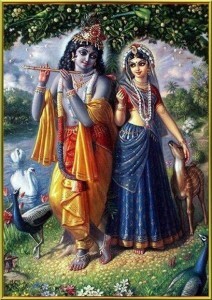 ‪sei jīve — in that living being; nija-bhakti — His own devotion; karena prakāśe — manifests directly; tāhāra darśane — by seeing such an empowered devotee; vaiṣṇava — devotees of Kṛṣṇa; haya— become; sarva-deśe — in all other countries. 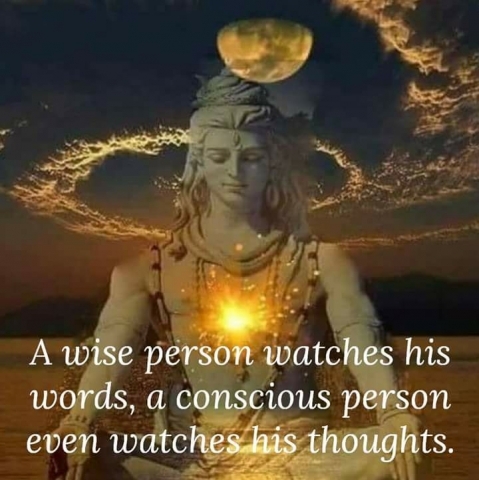 ‪Thus He empowered living beings [His pure devotees] by manifesting in them so much of His own devotion that people in all other countries became devotees by seeing them. ‪gauḍa-deśera loka — the people of Bengal; nistārite — to deliver; mana haila — wanted; nakula-hṛdaye — in the heart of Nakula Brahmacārī; prabhu — Śrī Caitanya Mahāprabhu; āveśa karila — entered. ‪Desiring to deliver all the people of Bengal, Śrī Caitanya Mahāprabhu entered the heart of Nakula Brahmacārī. ‪graha-grasta-prāya — exactly like one haunted by a ghost; nakula — Nakula Brahmacārī; prema-āviṣṭa hañā — being overwhelmed by ecstatic love of God; hāse — laughs; kāṇḍe — cries; nāce — dances; gāya — chants; unmatta hañā — just like a madman. ‪Nakula Brahmacārī became exactly like a man haunted by a ghost. Thus he sometimes laughed, sometimes cried, sometimes danced and sometimes chanted like a madman. ‪aśru — tears; kampa — trembling; stambha — becoming stunned; sveda — perspiration; sāttvika vikāra — all such transcendental transformations; nirantara — continuously; preme nṛtya — dancing in ecstatic love; sa-ghana huṅkāra — a sound like that of a cloud. ‪He continuously exhibited bodily transformations of transcendental love. Thus he cried, trembled, became stunned, perspired, danced in love of Godhead and made sounds like those of a cloud. ‪taiche — in that way; gaura-kānti — a bodily luster like that of Lord Śrī Caitanya Mahāprabhu; taiche — similarly; sadā — always; prema-āveśa — absorbed in ecstatic love; tāhā dekhibāre — to see that; āise — come; sarva — all; gauḍa-deśa — people from all provinces of Bengal. ‪His body shone with the same luster as that of Śrī Caitanya Mahāprabhu, and he showed the same absorption in ecstatic love of Godhead. People came from all provinces of Bengal to see these symptoms. ‪caitanyera — of Śrī Caitanya Mahāprabhu; āveśa — taking possession; haya — there is; nakulera dehe — in the body of Nakula Brahmacārī; śuni' — hearing; śivānanda āilā — Śivānanda Sena came; kariyā sandehe — doubting. ‪When Śivānanda Sena heard that Śrī Caitanya Mahāprabhu had entered the body of Nakula Brahmacārī, he went there with doubts in his mind. ‪tabe — thereupon; śivānandera — of Śivānanda Sena; mane — in the mind; pratīti ha-ila — there was confidence; aneka sammāna kari' — offering him much respect; bahu bhakti kaila — offered him devotional service. ‪Śivānanda Sena thereupon developed full confidence in his mind that Nakula Brahmacārī was filled with the presence of Śrī Caitanya Mahāprabhu. Śivānanda Sena then offered him respect and devotional service. ‪So Srila Prabhupada is certainly in Madhurya rasa which is why in addition to being the avesh on Ntiyananda gives him the power to give every rasa to his disciples fully satisfied the things we stated in the beginning of this presentation and easily reconciles both Sakhya and Madhurya rasa considerations. ‪THIS IS PRESENTED HUMBLY FOR THE SEVA OF MY ETERNAL DIVINE MASTER NITYA LILA PRAVISTA OM VISHNUPADA PARAMAHAMSA SRILA BHAKTIVEDANTA NARAYANA AND THE PLEASURE OF THE EMBODYMENT OF THE FULFILLMENT OF THE DIVINE PROPHECY OF SRI GAURANGA DVEA NITYA LILA PRAVISTA OM VISHNU PADA PARAMAHAMSA SRILA AC BHAKTIVEDANTA SWAMI SRILA PRABHUPADA AS WELL AS OUR RUPANUGA GURUVARGA AND THE VAISHNAVA MANDAL .